Staying in Mexico City? 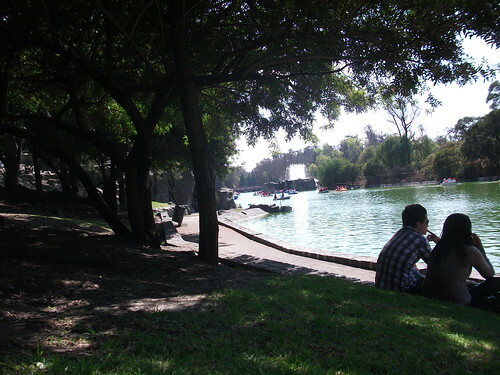 Chapultepec Park is a great place to spend the day – and it’s only 20 minutes on the metro from Zocalo. Surrounded by lush green trees, a glittering lake and Mexico City’s only castle, it’s is a welcome relief from the city centre. It’s easy to spend hours walking round the market. Stalls sell everything from wrestling masks to hand-crafted wallets, so take your time to wander around. Make sure you try the homemade crisps with chilli, lime and lashings of salt. They may look a little strange (the sauce drips all over the bag) but they taste amazing (10 pesos). 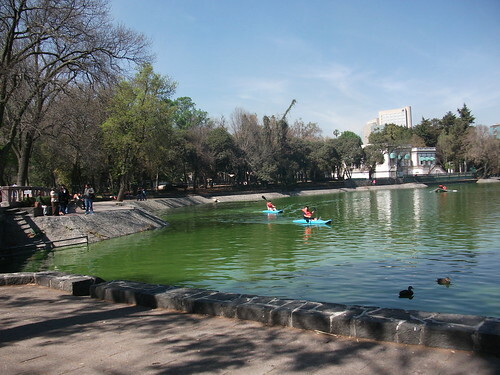 If you’ve got the kids with you, hire a pedalo (from 45 pesos) and spend an hour on the lake. It’s huge so go exploring and keep them occupied. Don’t miss Castello de Chapultepec – it’s absolutely stunning and entrance is only 50pesos. Walk around the grounds, take snaps of the royal carriage and enjoy the views of the city from the top-floor gallery. Find out how to get there on the metro and see how much Spanish you need in Mexico City.